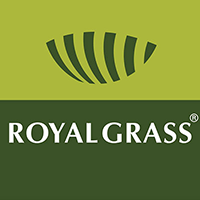 We are an official artificial grass fitter and trade service partner for Royal Grass. Based in Hampshire, we provide a UK nationwide artificial lawn supply and fitting service. 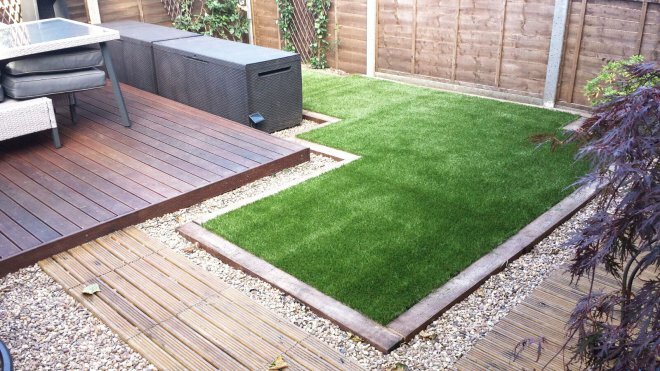 If you prefer to spend more time relaxing and less time mowing then you need artificial grass. Now you can enjoy a perfect lawn without regular garden maintenance. Using the lawn mower, lawn sprinklers and weed killer are also bad for the environment due to electricity use, water use and chemical use. 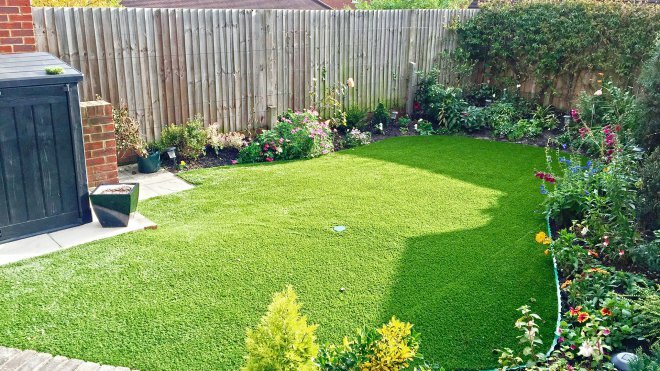 Artificial lawns are good for saving time, saving money and saving the environment. Artificial grass manufactured in Holland by Royal Grass. Supply and install in the UK by Lawn Logic. There are hundreds of artificial grass products on the market but here at Lawn Logic, we only supply Royal Grass. Why? Royal Grass is the front-runner in designing and manufacturing the most natural looking artificial grass. With a focus on innovation and durability, it has given artificial grass in general a huge boost. Seeing is believing. For you, this means you will enjoy a hassle free lawn for many many years to come with a 15 year warranty. 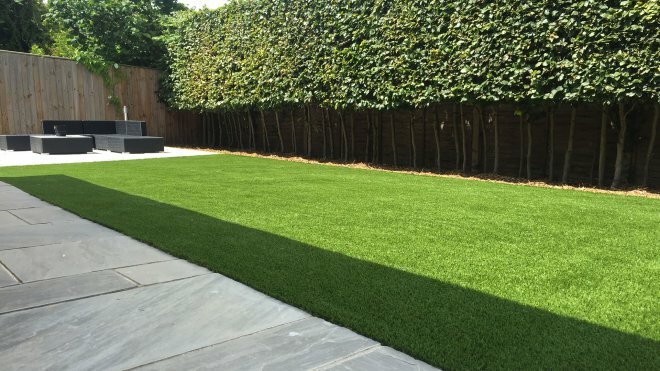 Artificial lawns by Royal Grass are unique with their silky soft quality, safety certification for children and high wear resistance, even for big dogs. 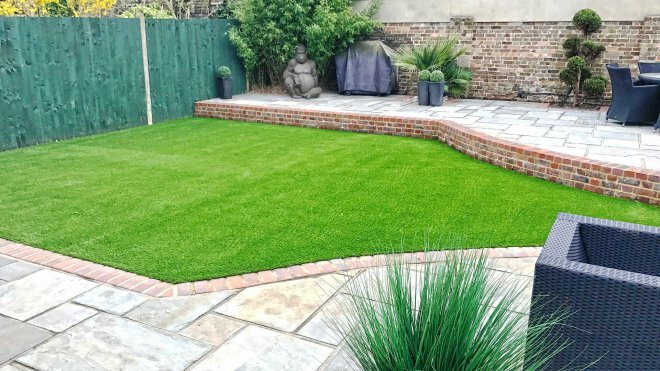 If you are a home owner and want to give your garden a face-lift or if you are a landscaper looking to add a little extra greenery at a client’s property, Lawn Logic offers the most inspiring and eye-soothing artificial grass. Now you can add that extra zing to your outdoor space. Call us on 01256 242425 to discuss your artificial grass installation in Hampshire. Don’t forget to order your free samples below! 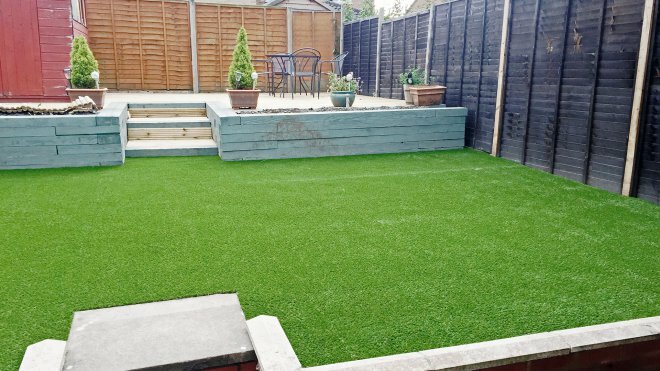 Click above to order your free artificial lawn samples. See and feel the quality of Royal Grass! You won’t believe the grass is fake. 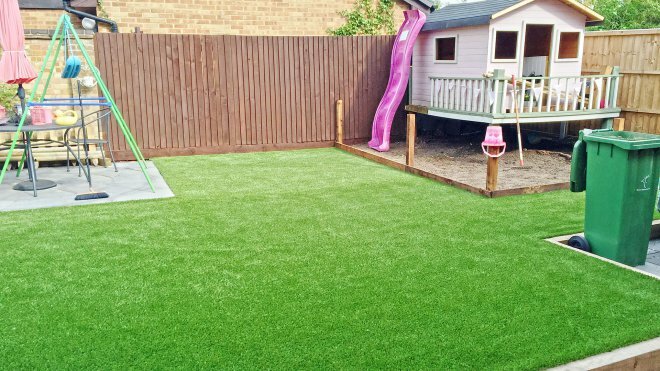 Click above to request a free quote for artificial grass installation by Lawn Logic. Based in Hampshire, we are an approved fitter for Royal Grass UK. Hampshire, Surrey, Sussex, Kent, London and the rest of South-East England. If you are not in these areas then please contact us for more information. Our local office services the above areas but as we are part of Royal Grass UK, we can put you in touch with the local Royal Grass office in your area. 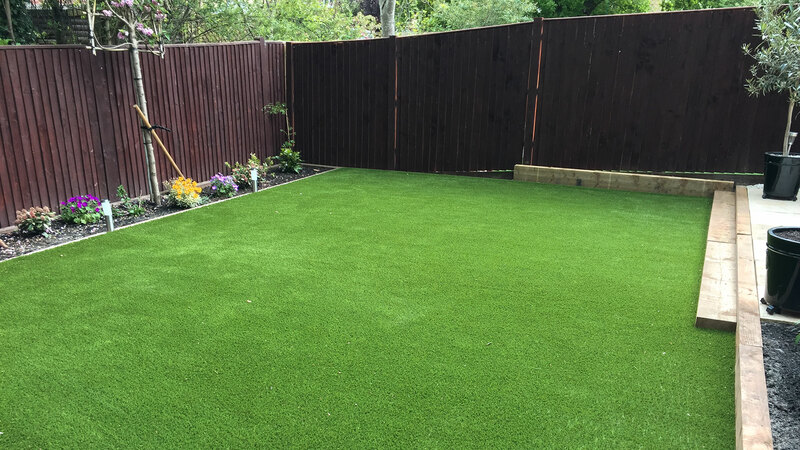 Lawn Logic are Hampshire’s leading installer of imitation lawns and fake grass carpet. Lawn Logic are a small, friendly independent team installing artificial turf in Hampshire and the surrounding counties. 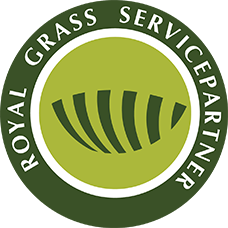 We are an authorised Trade Service Partner for Royal Grass. 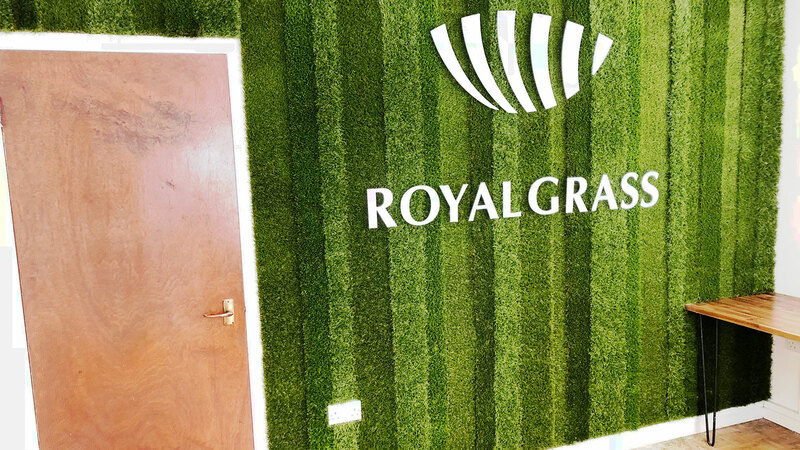 Very few products come close to the quality that Royal Grass boasts in the artificial turf industry, and that is why we take immense pride in being an Royal Grass Service Partner. We supply artificial grass for trade customers throughout the UK. For trade customers that require installation, our install service is available in South-East England including Hampshire and Surrey. Our experienced professionals can assist you effortlessly in providing a quote and planning the installation process. For more information, complete the form on our trade enquiry page. Logic Services is the trade department of Lawn Logic.